The dogs at Orphans of the Storm® come in all ages, but regardless of their age, they’re all looking for the same thing: a loving home with a family they can count on for the rest of their lives! Zak the eight-year-old Husky/Labrador Retriever mix already has some gray fur around his nose, but that just helps make him look more dignified–while his “one ear up, one ear down” look will make you smile. Zak, being on the older side, is a very mellow pooch who walked nicely on the leash and was happy to just take a casual stroll. Zak also enjoyed sniffing his way around the off-leash run. He mostly kept to himself at first, but we eventually were able to spend some time side-by-side while I pet his back. 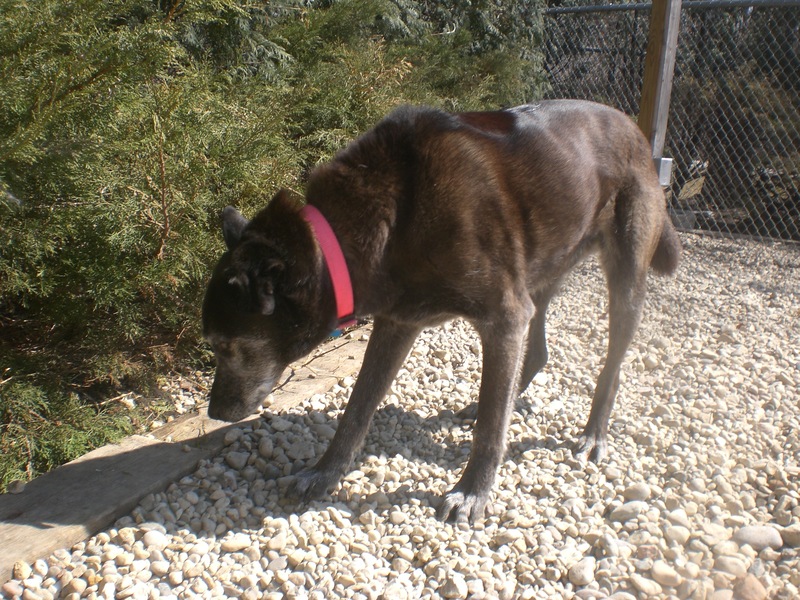 Zak seems like the type who would enjoy having a backyard to call his own, where he can spend time in the fresh air. If you’re looking for a gentle companion who is happy to just go with the flow, come in soon to meet Zak! 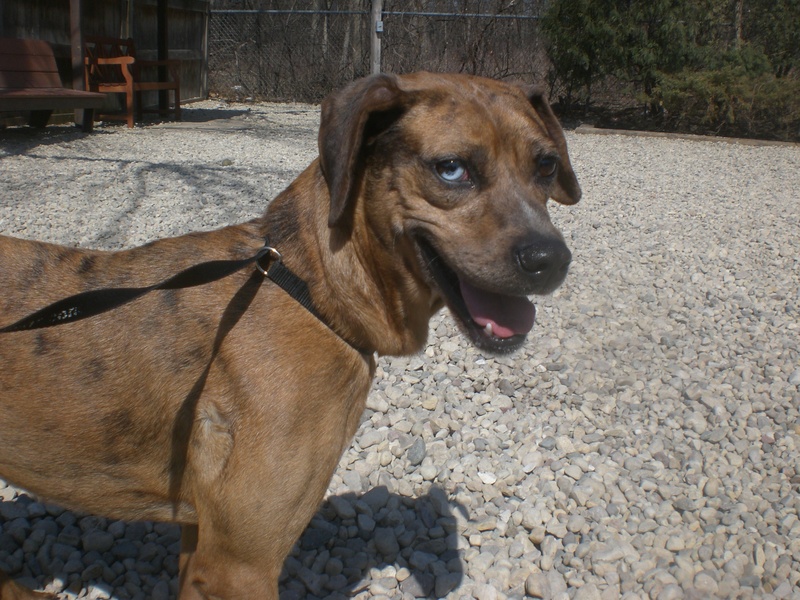 Augusta the three-year-old Basset Hound mix is a very friendly girl who gets along with people and other dogs alike. Augusta enjoys just about everything, from cuddling in your lap and covering your face in doggy kisses to chasing after toys and romping around gleefully. 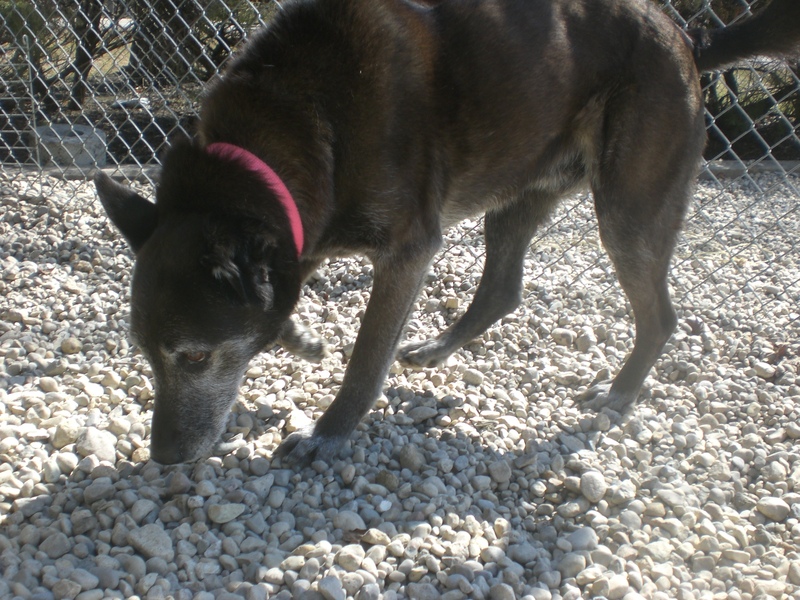 She is currently sharing her kennel with another dog, so she could go to a home with or without another pooch. Augusta‘s tail is wagging pretty much constantly. If her adorable, unique look doesn’t make you smile (which is highly unlikely), her personality absolutely will. Augusta had a great time chasing after one of the toys in the off-leash run, though she hasn’t quite mastered the idea of “fetch” yet, and watching her run is just too cute. 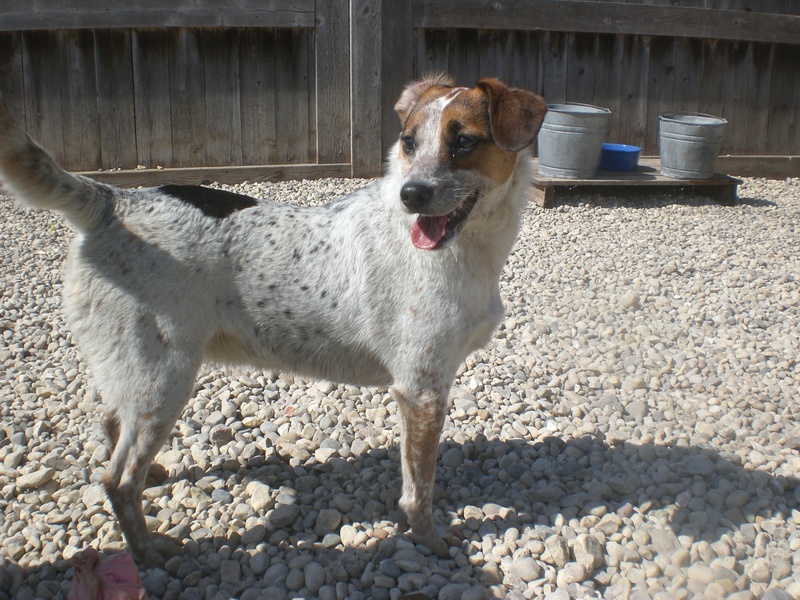 Augusta is sure to bring joy to whoever is lucky enough to adopt her. Come in soon to see for yourself! Georgie the one-year-old Beagle mix is an exuberant little pup. As soon as I went inside her kennel to put the leash on, she was jumping up and down and trying to get into my lap. 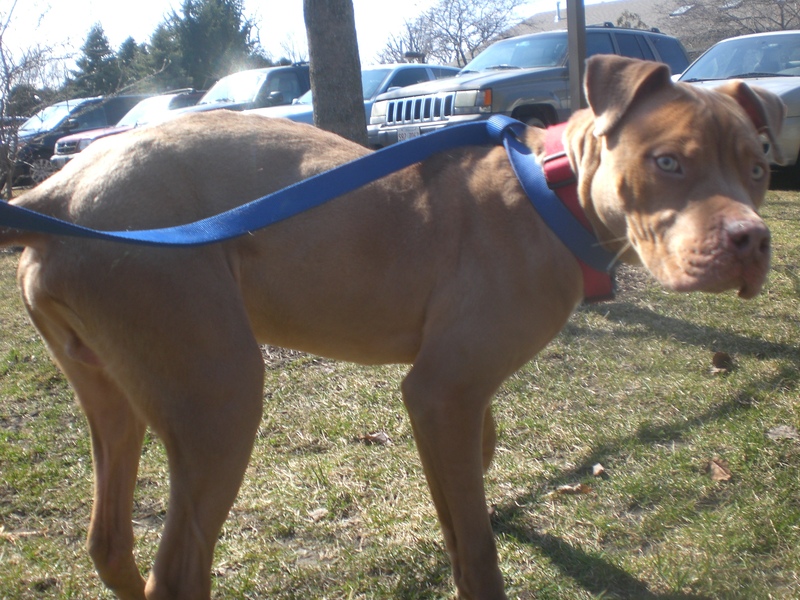 Once the leash was on and the gate opened, she was ready to go! Georgie happily led the way to the off-leash run and had a great time playing. Georgie is currently sharing her kennel with Rodney (see below), so she could go to a home with or without another dog. Georgie would also do best in a home with just adults or a family with teenage children. A young dog like Georgie could definitely benefit from some training, and she seems like an eager learner who would be happy to pick up whatever her future owners want to teach her. 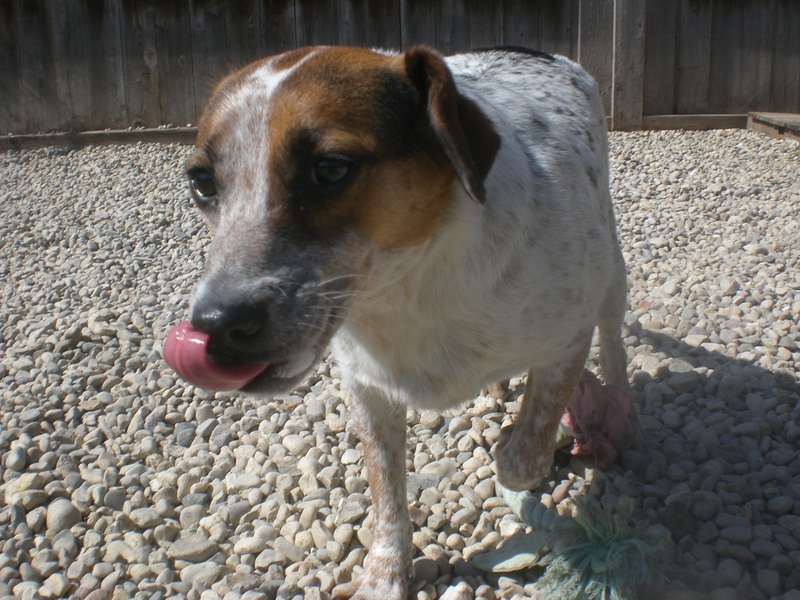 If you’re looking for a fun and active pooch, come in soon to say hi to Georgie! 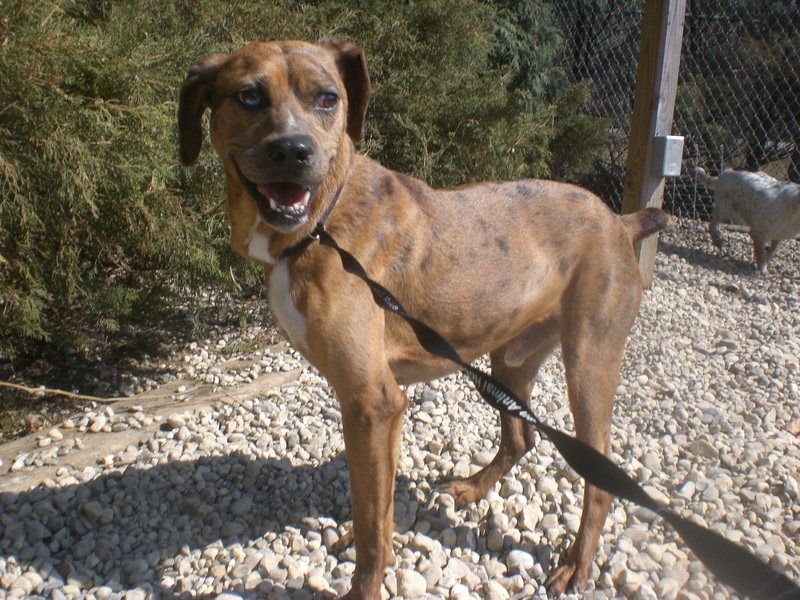 Rodney the eight-year-old Catahoula Leopard Dog mix has been at the shelter for a couple months already because he was being treated for heartworm–but now he has a clean bill of health and is ready to be adopted into his forever home! Rodney is a little on the shy side and needed some convincing to come out on the leash with me, but his kennelmate Georgie (see above) was there to support him and that seemed to help. Rodney may be shy, but he knows when to smile! Rodney has very unique markings and coloring, and even has one blue eye to go along with his uniqueness. Rodney will need an owner who can build his trust and give him an extra boost of confidence so he’s able to come out of his shell. By the end of our visit together, Rodney went from “head down, tail down” to head up and smiling for the camera! 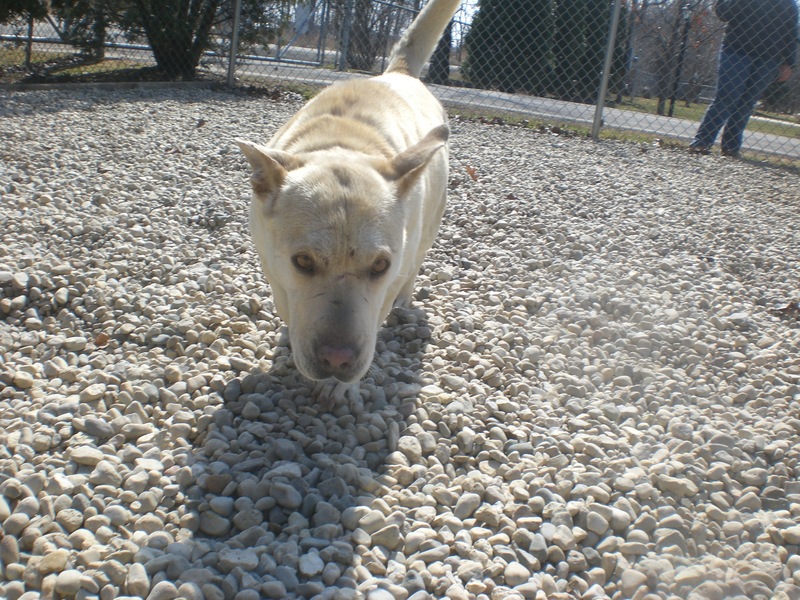 Stop by the shelter soon to give Rodney some much-needed TLC. 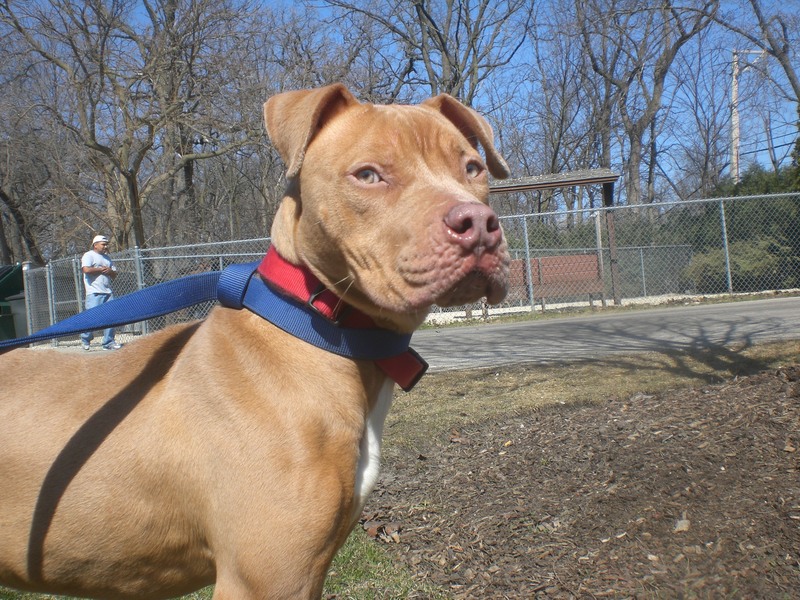 Leo the one-year-old Staffordshire Bull Terrier mix is a handsome boy with extra-pretty eyes. He’s new to the shelter, so he was a little unsure about coming outside and walking on the leash. He started out a bit shy and nervous, but after just a few short minutes, this sweet boy turned into quite the snuggler, complete with wagging tail and lots of doggy kisses. Leo quickly realized that he could snuggle with any of the other volunteers we came across. He’s definitely a leaner (meaning he’ll lean all of his body weight against your legs/side/wherever while you pet him) and close is never close enough! Leo is still a puppy, so he does give some gentle nibbles when he’s extra excited. This cute little guy just needs someone to show him that the world isn’t a scary place. If you think that someone might be you, come in soon to meet Leo! I also saw Bear, Blush, and Winter. Posted by Meet the Pooches on March 27, 2015 in Dog Profiles and tagged adopt, animal shelter, animals, Basset Hound, Beagle, Catahoula Leopard Dog, Chicago, dogs, Husky, Labrador Retriever, Orphans of the Storm, pets, Staffordshire Bull Terrier. Prayers and thoughts go out to these beautiful dogs. I hope they find homes! Thank you for the good thoughts being sent their way! I hope they’re all able to get adopted soon too.